With unique and playful illustrations this multicultural children's book is a classic Japanese fairy tale that young children and parents alike will love.The Last Kappa of Old Japan is a warmly written and beautifully illustrated bilingual Japanese children's book that introduces many aspects of traditional Japanese culture and folklore, while teaching an important lesson about environmentalism. The story is of a young Japanese farm boy who develops a friendship with a mythical creature— the kappa—a messenger of the god of water. 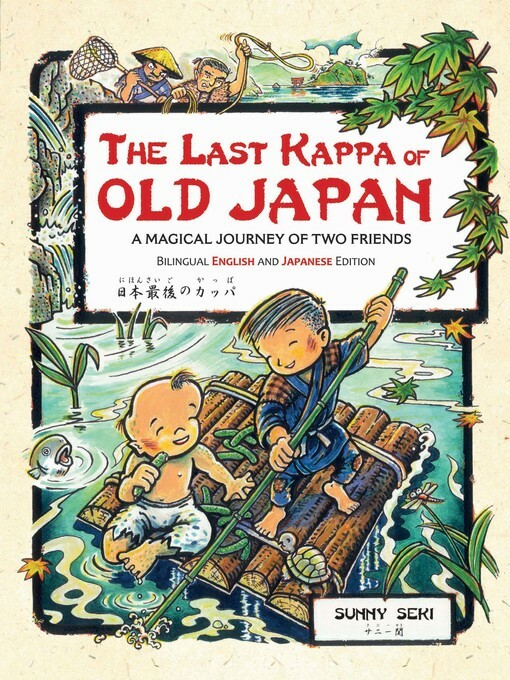 The tale begins in post-Modern Japan when the boy is young and the kappa is healthy and ends when the kappa, now the last one left on Earth, keeps an important promise to his human friend. A story of love, friendship, and adventure, readers of all ages will enjoy this picture book by award-winning author/illustrator, Sunny Seki. This bilingual edition includes Japanese text alongside the english, making it a great way for kids to lean Japanese.